The Fortune Foundation understands that there is a strong connection between health and learning. When students are healthy, they are better prepared to learn and succeed in school. The purpose of Fortunately Healthy is to help students achieve healthier lifestyles through nutrition, awareness of health concerns specific to ethnic cultures, physical activity, sports, mental health and emotional development. 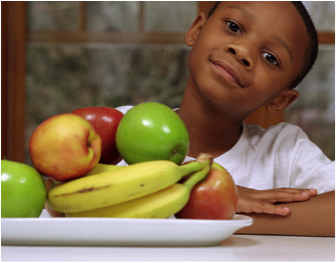 In African American and Hispanic communities, nearly 40 percent of children are overweight or obese. If left unresolved, these children are prone to many risk factors including diabetes, heart disease, high blood pressure, cancer, and asthma. This is a major disparity among ethnic and minority groups. Research shows that physical activity is essential for not only reducing the aforementioned risk factors, but it also promotes ideal brain function and the ability to improve focus, memory, and overall learning. According to the Centers for Disease Control and Prevention, studies show a positive association between school-based physical activity and academic performance. This important correlation is one that The Fortune Foundation incorporates in its strategies to address the achievement gap and create a healthy future for all children. For this reason, Fortunately Healthy reaches students in K-12 to deliver an exciting health and wellness initiative combined with mentorship and sports. Through this effort, students not only adopt healthy habits, but they become more confident with themselves and their choices. Get kids involved. Children enjoy helping adults shop for groceries, selecting what goes in their lunch box, and preparing dinner. 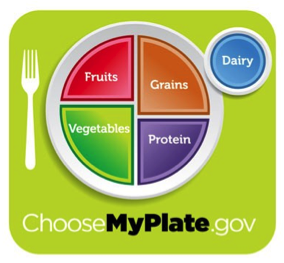 It’s also a chance for you to teach them about the nutritional values of different foods, and how to read food labels. Make a variety of healthy snacks available instead of empty calorie snacks. Keep plenty of fruits, vegetables, whole grain snacks, and healthy beverages (water, milk, pure fruit juice) around and easily accessible so kids become used to reaching for healthy snacks instead of empty calorie snacks like soda, chips, or cookies.